It gets a little more difficult to pull on those much loved skirts and dresses when it's freezing outside, believe me. But I think it's still important to wear our sunday best even in winter's midst. 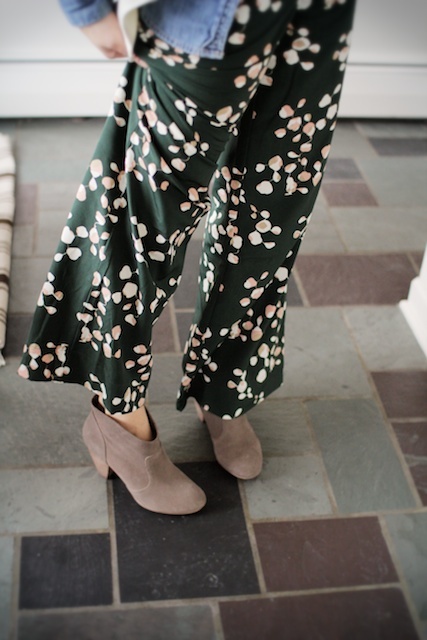 Pants (or in my case, a jumpsuit!) 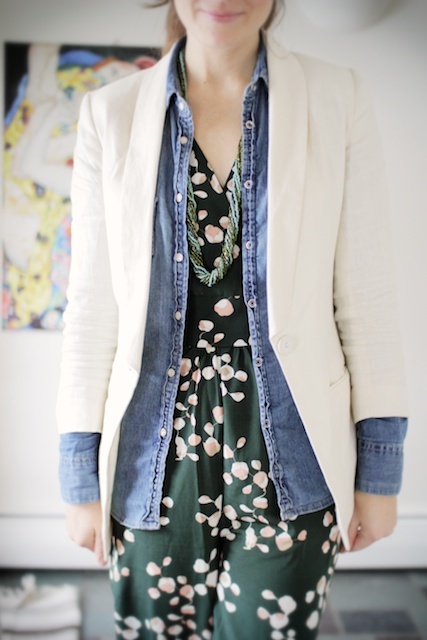 can easily be dressy enough. I got creative with this one as it's a summer "suit" (seen here) and so I added layer upon layer and voila! Warm winter outfit. Done. It's pretty important for me to "dress up" for church on Sundays and to show my kids that example. A really simple thing, I know, but with an underlying lesson in respect. I think that one's presentation of oneself should never to be overlooked and I'll make sure that, though it's not always easy, these boys will always know to wear their very own Sunday best too. Church is not a casual place for us. Never has been (I remember those tiny frocks we wore every Sunday as children). It may have been a part of our culture then, that place and time. But it's something I miss. The culture here is so different, completely ruled by sports. So packer apparel is completely normal on Sunday mornings and it boggles me. I don't get it, not in the least, but I know that they don't get me either. To each their own. What's normal for me may not be for you ... but sometimes I really miss feeling normal. That's why I have this blog and you, fellow fashion lovers! You fuel my creativity and energize the culture in my life. I feel a little more normal here. In an effort to further complicate my life with even more social networking, I've finally joined (the before completely misunderstood) twitter platform. So if you're a twitterer, I'd love to have you follow along there too and I'll follow you back. Isn't this fun? Oops, you can follow my twitter here!